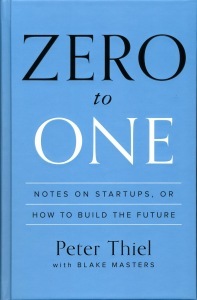 Zero to One is a recollection of notes from Peter Thiel’s lectures on startups and entrepreneurship at Stanford University. Peter Thiel is on the board of directors of Facebook and his thoughts influence Facebook executives and the tech industry. Competition is for losers — under prefect competition, no company makes an economic profit in the long run. Whereas a competitive firm must sell at the market price, a monopoly owns its market, so it can set its own prices. If you want to create and and capture lasting value, don’t build an undifferentiated commodity business. Winning is better than losing, but everybody loses when the war isn’t one worth fighting for. Service businesses especially are difficult to make monopolies. Proprietary technology must be at least 10 times better than its closest substitute in some important dimension to lead a real monopolistic advantage. The clearest way to make a 10x improvement is to invent something completely new. Or you can radically improve an existing solution. It’s much better to be the last mover – that is to make the last great development in a specific market and enjoy years or even decades of monopoly profits. Business is like chess, you must study the endgame before everything else. Venture returns don’t follow a normal distribution overall. Rather, they follow a power law: a small handful of companies radically outperform all others. Only invest in companies that have the potential to return the value of the entire fund. Every single company in a good venture portfolio must have the potential to succeed at vast scale. Andreessen Horowitz has a $1.5 billion fund: if they only wrote $250,000 checks, they would need to find 19 Instagrams just to break even. The value of a business today is the sum of all the money it will make in the future. Most of tech company’s value will come at least 10 to 15 years in the future. Rapid short-term growth at both Zynga and Groupon distracted investors from long-term challenges. But they ended up with the same problem every Hollywood studio faces: how can you reliably produce a constant stream of popular entertainment for a fickle audience? Paradoxically, network effects businesses must start with especially small markets. Facebook started with just Harvard students. The perfect target market for a startup is a small group of particular people concentrated together and served by few or no competitors. A large market will either lack a good starting point or it will be open to competition. Once you create and dominate a niche market, then you should gradually expand into related and slightly broader markets. The greatest thing Jobs designed was his business. Apple imagined and executed definite multi-year plans to create new products and distribute them effectively. Forget “minimum viable products” — ever since he started Apple in 1976, Jobs saw that you can change world through careful planning, not by listening to focus group feedback or copying others’ successes. Like acting, sales works best when hidden. People who sell advertising are called “account executives”. People who sell customers work in “business development.” People who sell companies are “investment baners.” And people who sell themselves are called “politicians.” There’s a reason for these redescriptions: none of us wants to be reminded when we’re being sold. Bright college graduates head to Wall Street precisely because they have no real plan for their careers. Once they arrive at Goldman, they find that even inside finance, everything is indefinite. The fundamental tenet is that the market is random; you can’t know anything specific or substantive; diversification becomes supremely important. Engineering: Can you create breakthrough technology instead of incremental improvements? Timing: Is now the right time to start your particular business? People: Do you have the right team? 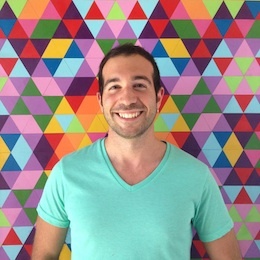 Distribution: Do you have a way to not just create but deliver your product? Durability: Will your market position be defensible 10 and 20 years into the future? Secret: Have you identified a unique opportunity that others don’t see?